The prize winning author, Tash Aw, a graduate of the University of East Anglia’s MA in Creative Writing, on why he is loaning his archive to the British Archive for Contemporary Writing. ‘It feels as if I’ve only just begun my career as a writer, that I’m still learning my craft; but the reality is that I’ve been writing full-time for over thirteen years, which isn’t a long time in writerly years, but not a short time either. In this period, and indeed before, I’ve managed to amass a huge amount of paper – loose-leaf manuscripts of novels, clumsy short stories that will never see the light of day, dozens of notebooks, random clippings from newspapers: the usual scraps from the writer’s magpie existence. Paranoia keeps me from throwing them away. Some day I might just need that jumble of papers; somewhere in that pile of material is a start of a magnificent new novel. The problem is, I can barely find my way around this increasingly disorganised mess. Sometimes I look at notes I’ve taken and can’t even remember why I found the subject interesting enough to dedicate four pages of a notebook to it. But in a strange way, every time I look at my files, I feel that they represent the way I work as a writer: I’m someone who needs a huge mass of seemingly unrelated information in order to gain focus. My papers contain the imprint of who I am – the places I’ve worked and lived in over the last decade and a half, and for that reason, I have hesitated to discard them. Tash Aw (1971-) a prize winning author and graduate of the MA in Creative Writing (Prose). 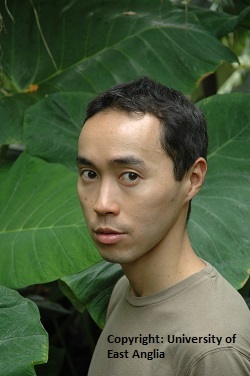 Aw has produced three novels, all to critical acclaim: The Harmony Silk Factory (2005), Map of the Invisible World (2009) and Five Star Billionaire (2013). He is winner of the Whitbread First Novel Award, a regional Commonwealth Writers’ Prize and has twice been longlisted for the MAN Booker prize. His short fiction has won an O. Henry Prize and been published in A Public Space, the landmark Granta 100, and elsewhere.